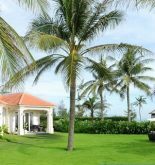 The “Palm Garden Beach Resort & Spa” name is derived from the ideal position of the five hectares of tropical garden, with more 400 palm trees and its separate suites of rooms fit in a precinct surrounded by green grass. 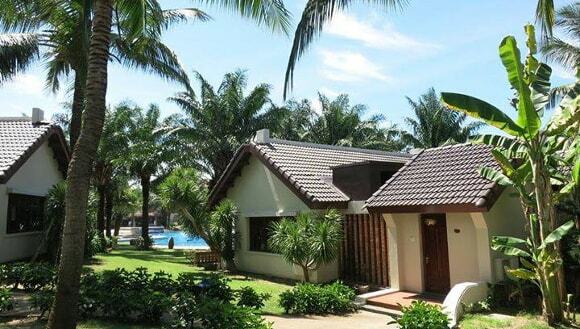 This resort owns the separate villa rooms and modern equipment so it brings a soothing and elegant style. Moreover, it is also covered by a perfect design as well as standard services for tourists’ complete holiday. Palm Garden Beach Resort & Spa has many kind of rooms, from standard to superior with a total of 160 rooms decorating beautifully. Specifically, it owns 20 separate suites of rooms which 14 of them overlooks the beach, while 6 remaining ones are built in the very green palm precinct, especially all of them are designed elegantly attached with the convenient outdoor pool. You can also stay in private areas: 3 Junior Suite and 1 Presidential Suite. These types of rooms suit to families which want to have their own paradise. 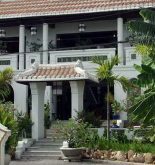 Address: Lac Long Quan St, Hoi An, Quang Nam, Viet Nam. This information has been supplied by Palm Garden Beach Resort & Spa.